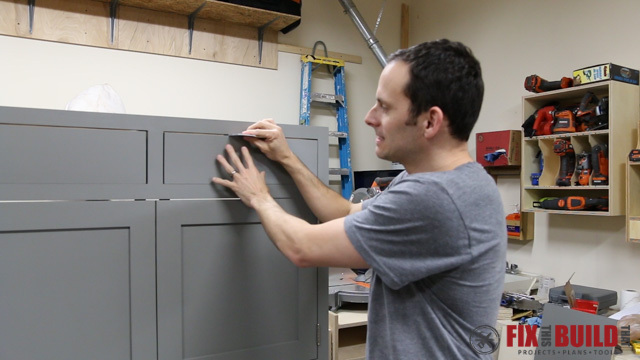 If you have ever built a cabinet with inset drawers or doors then you know the challenge of getting them lined up properly. You go through the dance of a little nudge here…a little nudge there. Dang it, too much! Rinse and repeat, ugh. 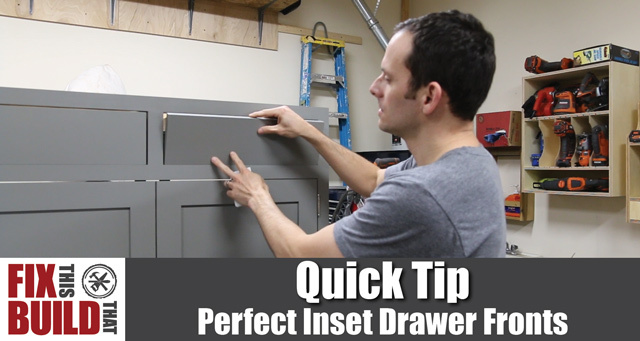 Well, I’ve got a Quick Tip to show you have to get perfect inset drawer fronts every time. And the tip works just as well for doors too! 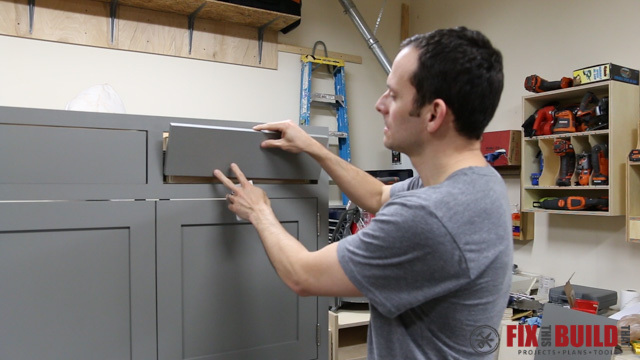 I used this technique when I built my DIY Sideboard Cabinet and it worked like a charm on all the doors and drawers. If you haven’t seen that build go over and check it out. It’ll pop up a new window to read after you finish this quick tip. 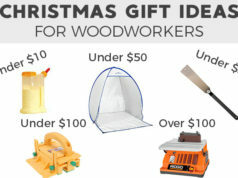 All you’ll need to do this is an inset drawer and a decking of playing cards. 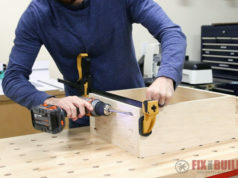 Take your false drawer front and put it in the opening of the frame. It doesn’t matter how big you want your gap (or reveal) to be around the edges. 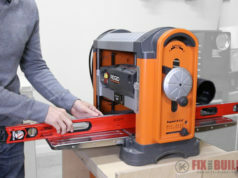 This technique will center the gap whether it’s 1/16″ or 1/4″. 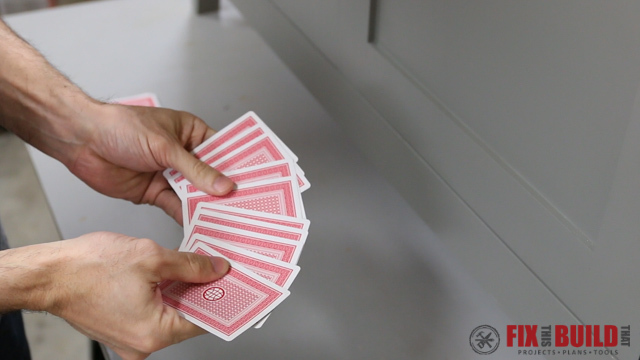 Fill the gap between the top of the drawer front and the top of the opening with as many playing cards as you can. This will work with any standard thickness card (business cards, note cards, etc.). Remove the cards and count how many it took to fill the gap. In this case it took 10. Divide the stack in half. I made two stacks of 5. If you have an odd number then add an extra card to the smaller stack. 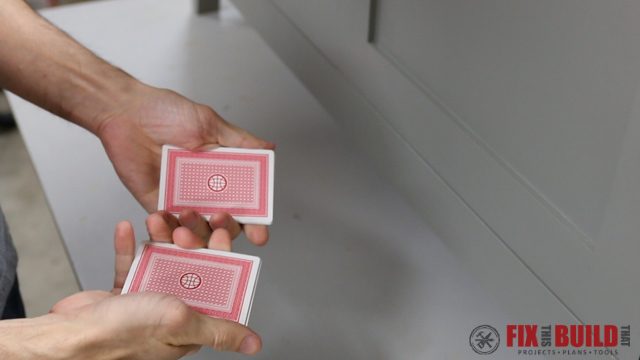 Place the two stacks of cards underneath the drawer front to elevate it half the height of the total gap. That’s it! 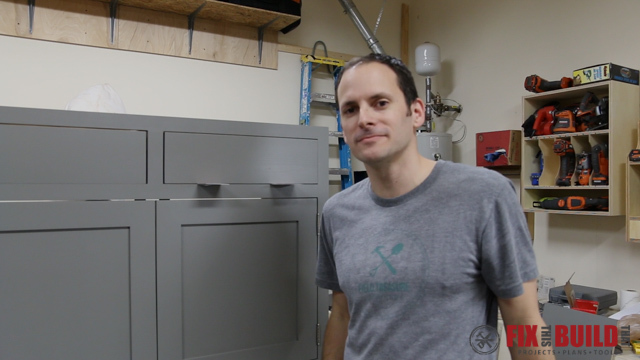 Now you have a perfectly aligned drawer reveal all along the top and bottom. 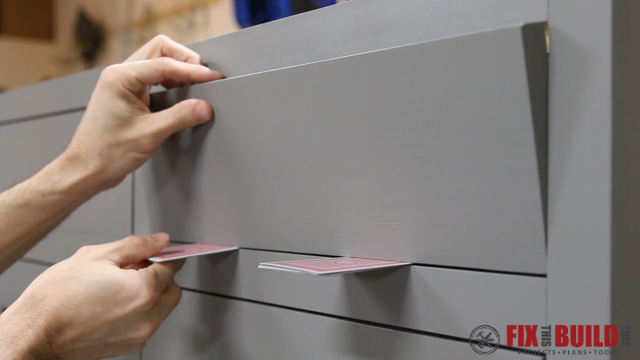 You can repeat this same process on the sides by pushing the drawer front to one side and filling the gap with cards. Let me know what you think of this Quick Tip down below in the comments. I will do more of them if this is beneficial to everyone. 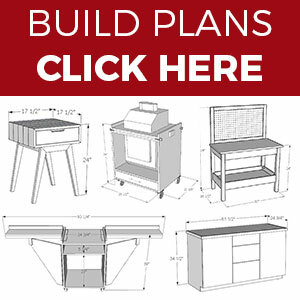 And if you want to see some project build then checkout my Projects page.